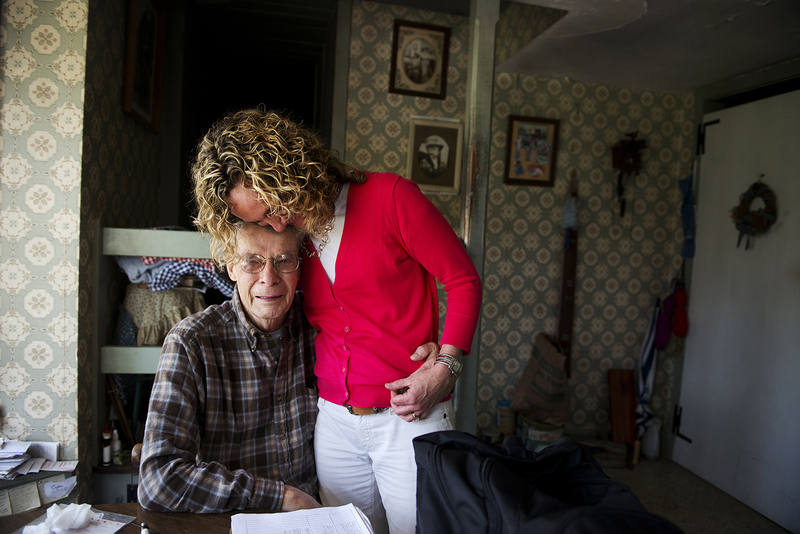 DOYLESTOWN, PA - APRIL 24: Patty Graefe, Clinical Team Leader at Health Quality Partners research and development organization, hugs her patient, Paul Bradfield, 83 at his home outside of Doylestown, PA on Wednesday. With a few more visits left, the couple is sad to lose the care provided by Graefe," "If it hasn't been for her making him go to the doctor, he wouldn't be here. That I am sure of, " said Betty Bradfield of an medical emergency involving her husband.